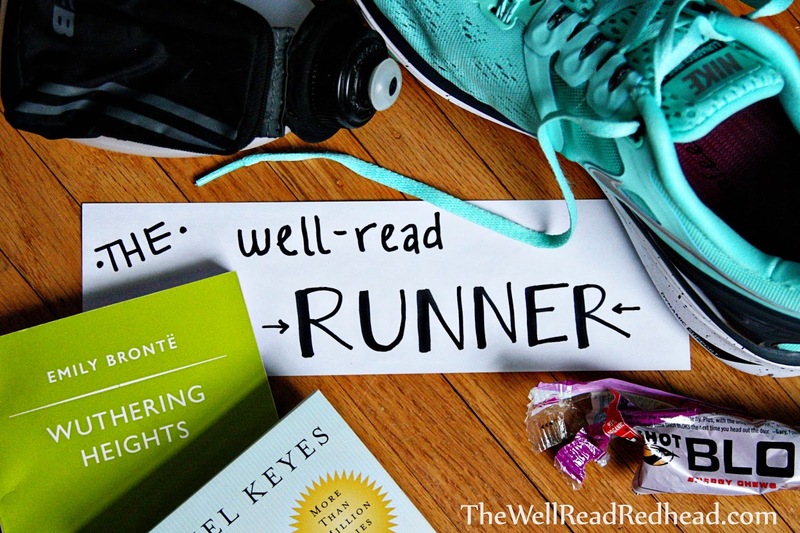 The Well-Read Redhead: The Well-Read Runner: SLS3 Run Belt GIVEAWAY! This sounds like EXACTLY what I need. I got a flip belt for Xmas and one 5k later I knew it wasn't for me. This product sounds perfect! Yes, I returned mine so fast. Such a bummer because I have friends who raaaved about them. This one works much better for me! I'm trialing mine as we speak! I love the double pocket! I'll be posting my review in a week or so. Yes, double pocket is key!! Can't wait to read your review. Oh yes this would be perfect for that! As a distance runner I would love to be able to carry my phone during long runs for safety reasons. Definitely. That's why I suffered through using my armband for so long--I like to have my phone on me at all times in case I need to make a call, and I also use it to send a RoadID tracking map to my husband for each run. I haven't had as many issues with my flipbelt as you, but I'd love something with a zipper pocket, makes me feel better about my keys. Agreed. I often tie my key to my shoelace, and even though I double knot, I am always afraid of losing it!